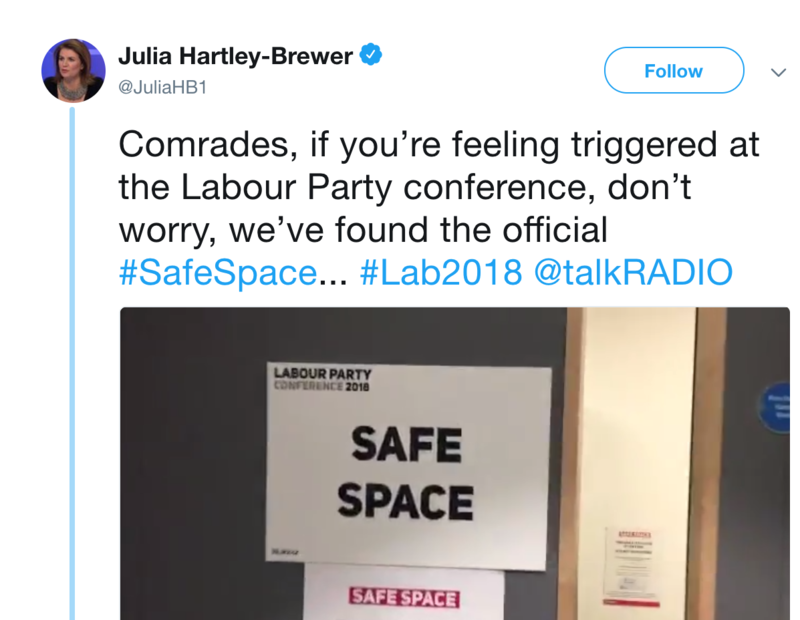 A U.K. journalist invokes the wrath of Twitter for making fun of quiet rooms. The annual Labour Party Conference is happening this week in the United Kingdom. This is roughly the equivalent of the national conventions held by American political parties, except the gathering is typically used for education and debates to determine party policies, rather than to choose a presidential nominee. Around 13,000 delegates and visitors attend the Labour Party Conference, which this year is being held in Liverpool. Just as in the United States, the main political parties in Britain argue about policy, but this week the biggest controversy surrounding the conference appears to be about…two rooms. The meeting planners in charge of the event, located at the Arena and Convention Center Liverpool, have taken care to provide two quiet rooms for attendees who may feel overwhelmed by the crowds and stimulation and need some time in a quiet space away from the other delegates. While the rooms are open to everyone, information about them is located on the LPC website on the page devoted to accessibility so the intention is obviously to make the event welcoming to people with autism or anxiety disorders. Some U.S. conferences are already adopting safe spaces. IMEX America has a Be Well Lounge, and the American Anthropological Association is providing quiet rooms at its annual conference on October 12, and other services that exceed the requirements of the Americans with Disabilities Act. It also encourages attendees to communicate any other accommodations they may require. While allowing assistance dogs at a venue, printing menus in braille, and providing speech-to-text services for attendees are now fairly standard at large meetings, if a conference organizer truly wants to hear from every voice it is time to extend those accommodations to attendees who have autism spectrum disorders, anxiety, post-traumatic stress disorder, or anyone else who struggles with crowds.